WE CARRY THE BEST BECAUSE YOU DESERVE THE BEST. We are Columbia's premier hookah retail location. The Hookah Lounge is the perfect place to visit after a long day when you need to relax. Plumes of smoke drift toward the chandelier-adorned ceiling of the lounge, whose flat-screen TVs and black-and-white-striped walls surround hardwood floors and comfy couches. Whether you are looking for a place to take a date for a chill time, or you’re looking for a spot where you can get some time to yourself, you’ve come to the right place. 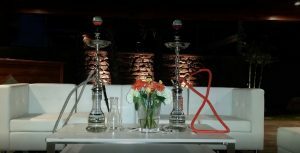 At The Hookah Spot, our hookahs serve up to three guests each. To enjoy graham crackers or sour Skittles, one typically must chew these foods. But at The Hookah Spot, those flavorful sensations waft over palates during hookah-smoking sessions in a spacious lounge. From Arabian coffee and Hawaiian punch to housemade blends, more than 25 shisha flavors can fill The Hookah Spot’s elegant glass-bodied pipes. Which blend will you choose? 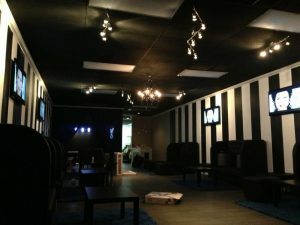 We are a dynamic social venue with a lounge atmosphere offering the finest hookah products. Our employees are all unique and a big part of our business. Here's their place to shine. Read the testimonials of Columbia's first and finest hookah destination. ©2017 The Hookah Spot. Do Not Copy. All rights reserved.